E.j. 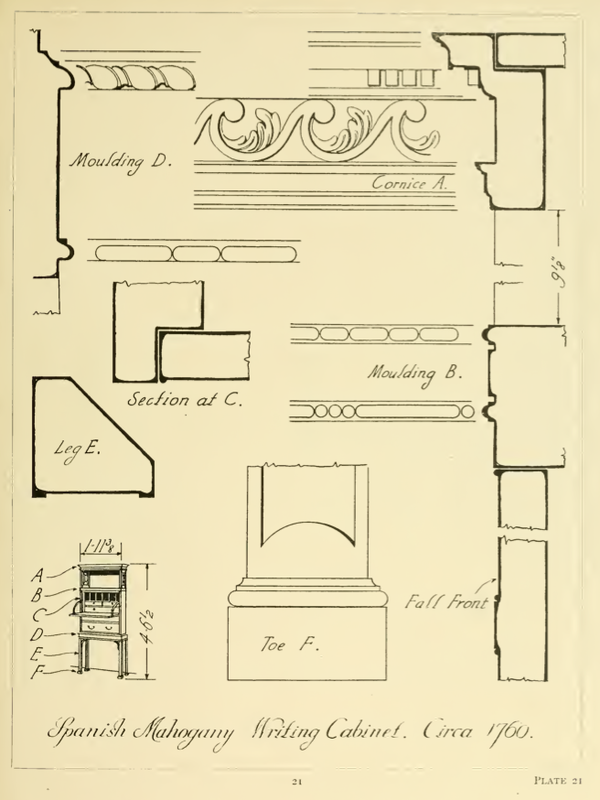 Warne’s book, Furniture Mouldings, is still one of the best resources on 16th to 19th century British furniture. Almost never out of print, copies can be had for as little as $1. Until you get a print copy, you can download a digital scan of the book below. Scanned from an ex library copy, there are a number of damaged pages but you can get a good idea of the scope of the book. 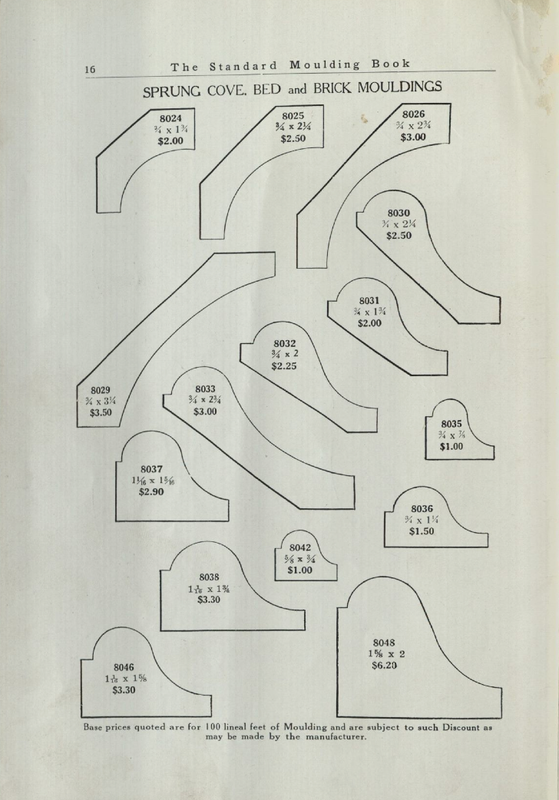 Chris Schwarz over at Lost Art Press posted a blog entry yesterday with links to three moulding catalogues you can download. 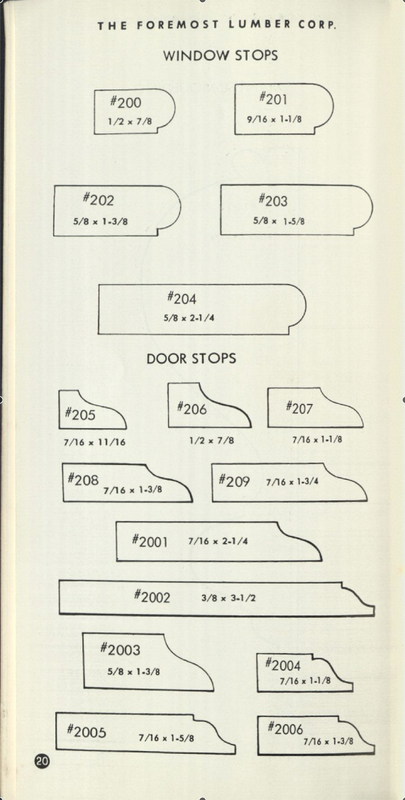 The catalogues range from a 1938 catalogue using the old Universal system where the profile numbers were a fairly universal ( at least within the U.S.) numbering system called the 8000 system. The original numbering system begun in the mid 1800’s used a three digit number starting with 1. 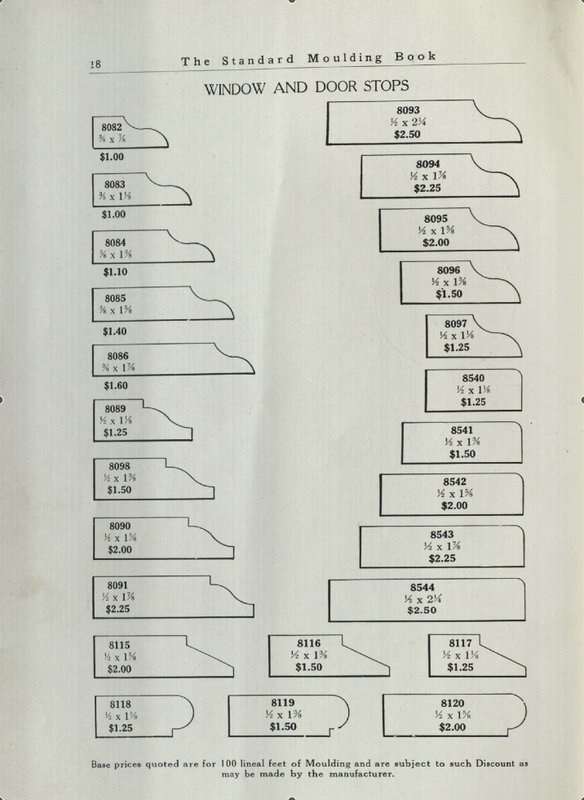 You can see how the inventory of stock moulds changed over the years as manufacturers offered fewer and fewer profiles. The mid 1800’s catalogues included over 600 different profiles which would dwindle to less than 50 in many catalogues in the early 1950’s. 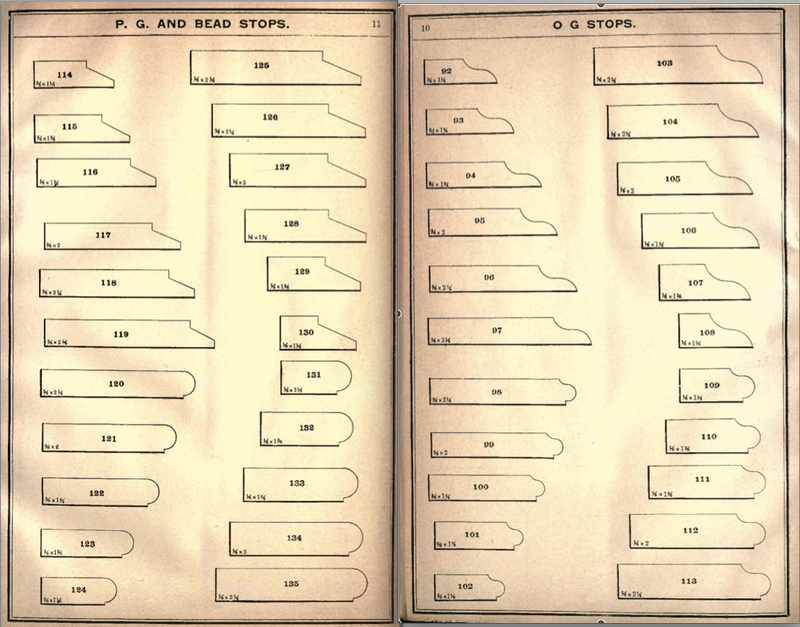 Here’s three examples that show the slow loss of the variety of stock stop moulds, the first from the 1890’s catalogue, the second from a 1938 catalogue and the last from a booklet from the 1960’s. You can read the blog article and download the catalogues at this link. Special thanks to Chris, Eric Brown and Thor Mikesell for sharing the research material. 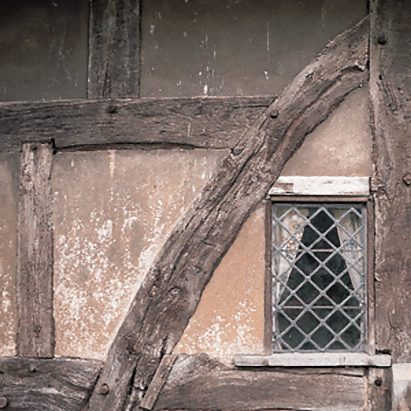 Creating period wood finishes for film and television scenery always involves a certain amount of subjective and creative interpretation. 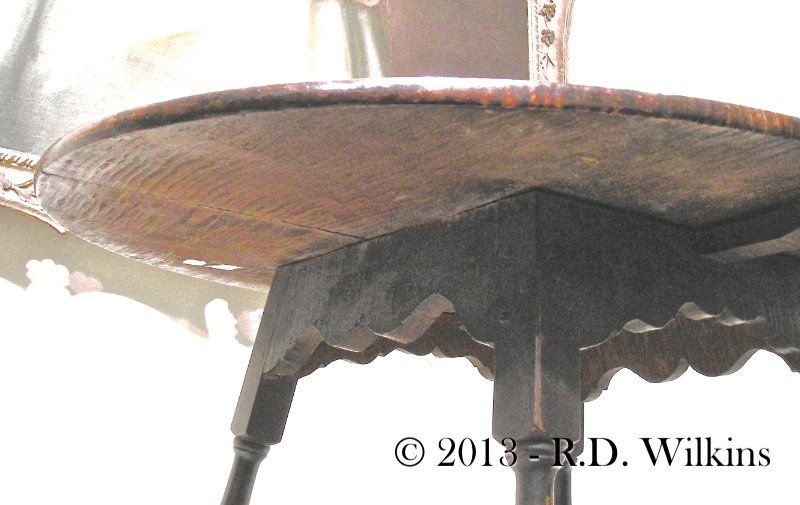 Usually the wood surfaces are finished to a level having more to do with the time period’s distance from modern times more than how old the set would look in relation to the time of the story. 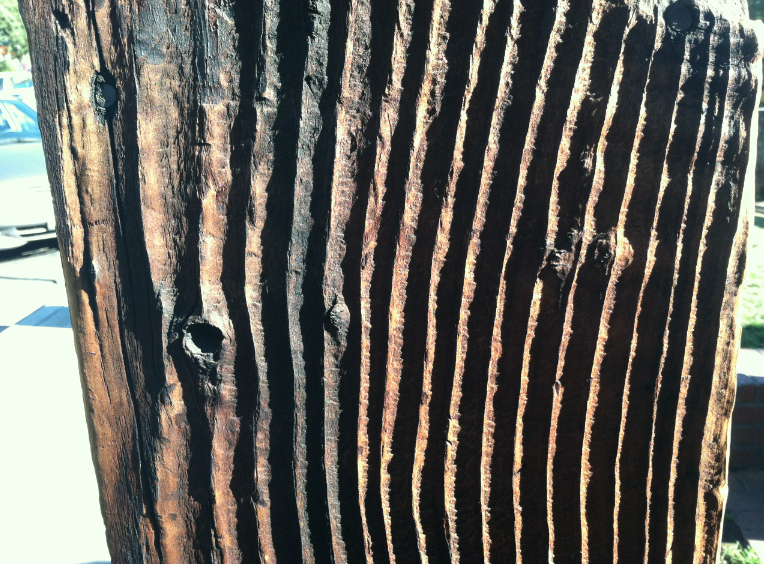 So usually anything set in ancient Roman times looks like it’s been through several hundred sandstorms, attacked with a grinder and sand blasted until the early growth rings are worn away from the late growth rings. There were certainly buildings that were very old at that time but there were plenty that looked much newer than the photo below. 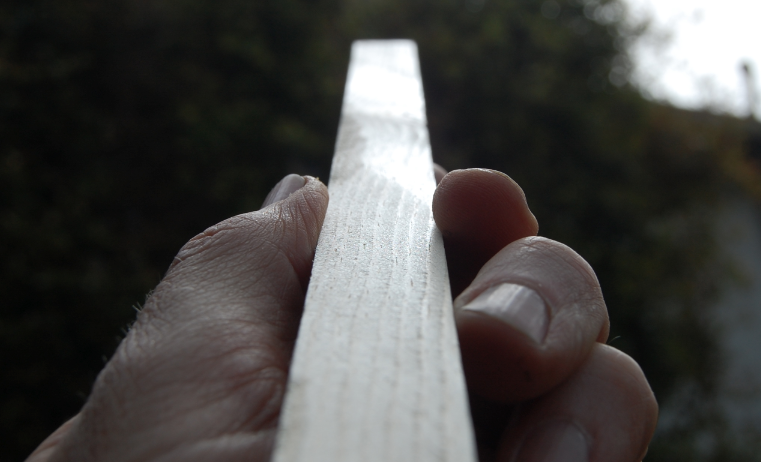 I was working on a period film several years ago and I noticed that one of the other designers had called out the wood surfaces of their set to be finished as ‘hand-hewn’. I knew the surfaces would have actually been surfaced to a finer finish than a rough hewn beam and I asked why it needed to be so rough. 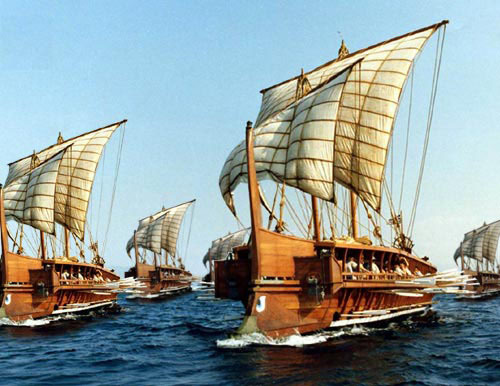 They answered that being pre-machine age, other than furniture which would have required lots of sandpaper, they wouldn’t have had the ability to give the wood a smooth finish. 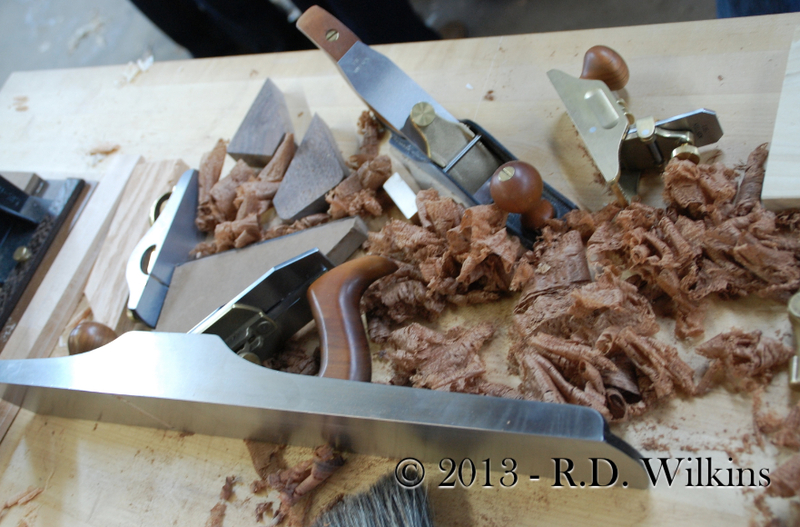 I said that not only was that not true, in many ways hand tools gave a superior finish to the tools of the machine age, and they had something better than sandpaper. They laughed until they realized I wasn’t kidding. 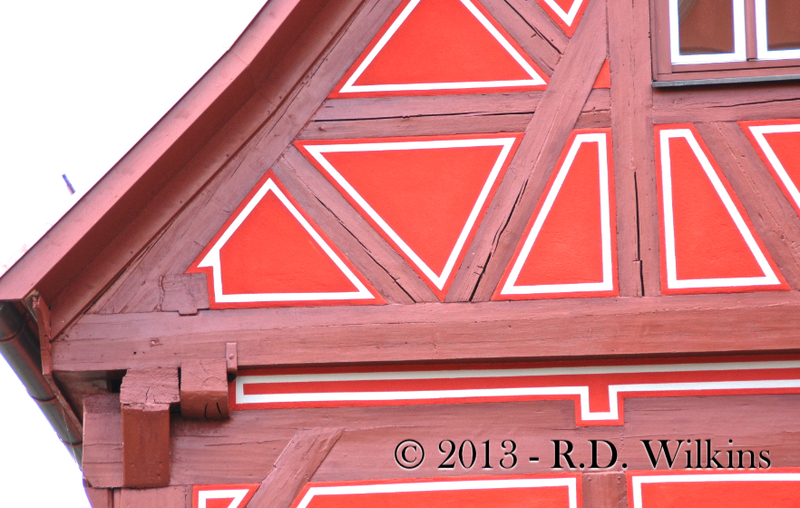 16th century German timber frame or Fachwerk house. 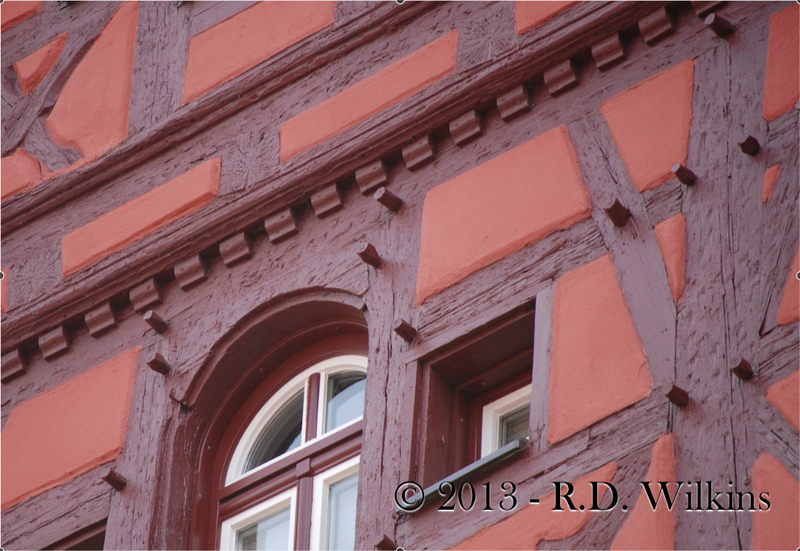 restored German Fachwerk building from the mid 1600’s. 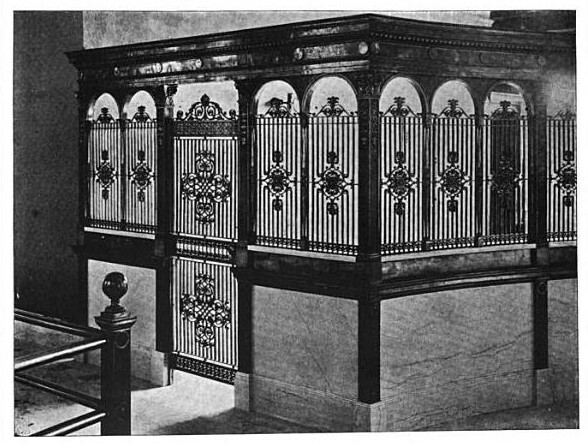 Partly because of this trend toward artistic license, and not understanding period construction which leads to misinterpreting the photographic research available (such as the photo below), wood buildings get designed and built with anachronistic finishes. plaster stucco-like finish that was applied at one time to ‘modernize’ it, much like some old interior brick walls were scored to accept plaster. Even the building industry can take some of the blame. 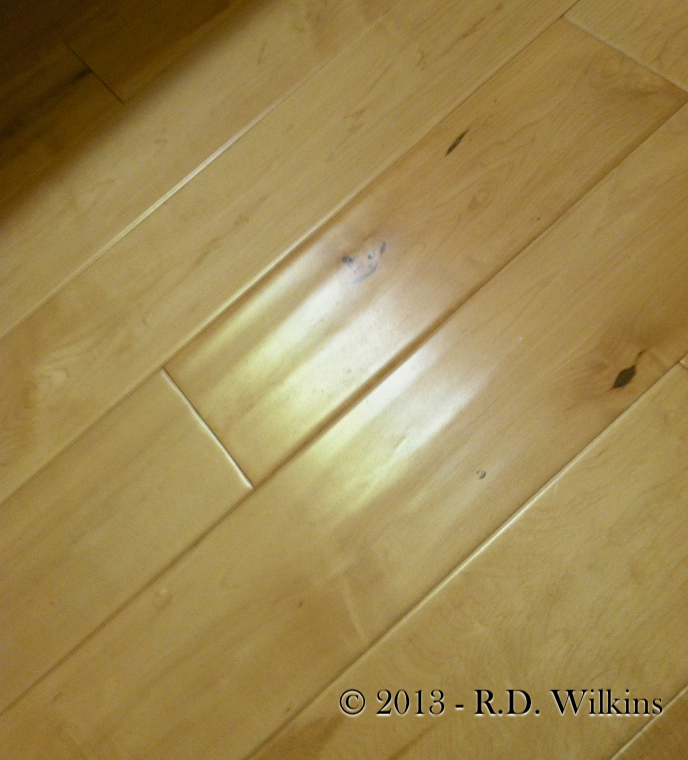 Here’s a photo of a popular flooring with a simulated jack plane finish. 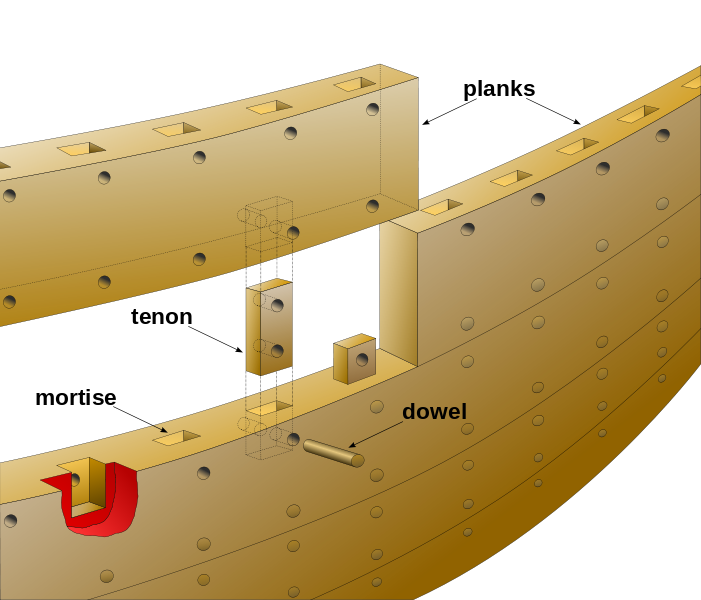 The plane had a curved blade that was used to quickly take a plank down before being planed smooth to its final thickness. 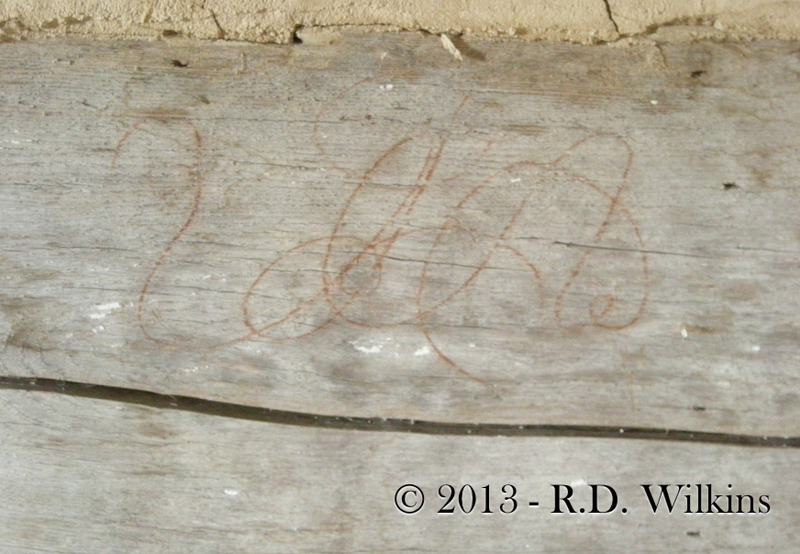 A board with tool marks like this would not likely have been used in a decent dwelling. Today it’s hard to imagine doing all the work involved in processing wood from logs to a finished form without power machinery. 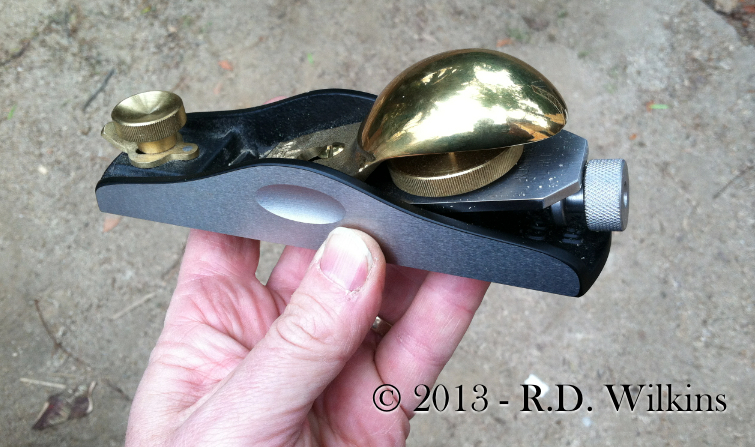 How could a hand tool created a finish smoother than a modern tool, much less sandpaper? 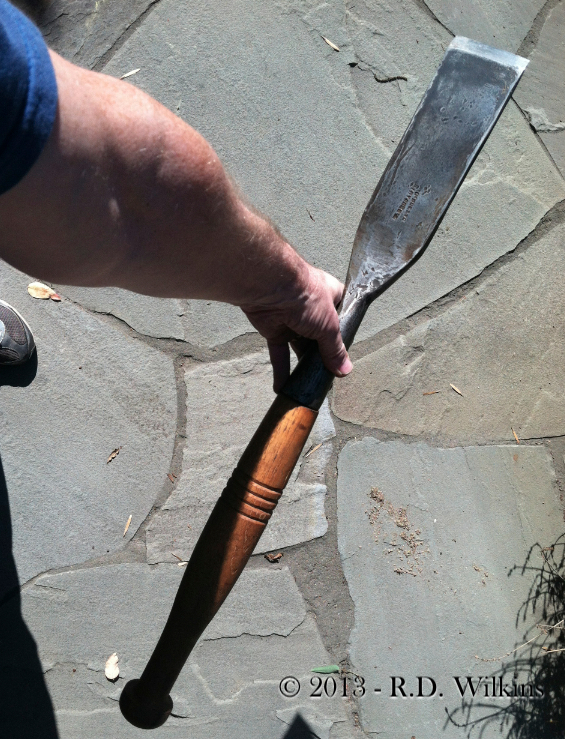 first of all, the way the tools work today is much different than the way period tools work. And, because it was a much more labor-intensive process, they didn’t finish surfaces that wouldn’t be seen. Let’s start with the big stuff. The process of taking logs from a tree to a piece of framing timber in the European tradition in the 16th and 17th centuries involved a number of types of hatchets. By the 18th century the process involved not only the hewing axes and saws but an adze to square the sides followed by a broadax to smooth the sides, and possibly a drawknife to remove the axe and adze marks. Once the mortises and tenons were cut they were cleaned up and smoothed using chisels and slicks, which were basically large chisels meant to be pushed by hand rather than hit with a mallet. The photo below is of the largest slick in my collection. Made in the late 1860’s in Ohio, it has a 3 inch wide blade. 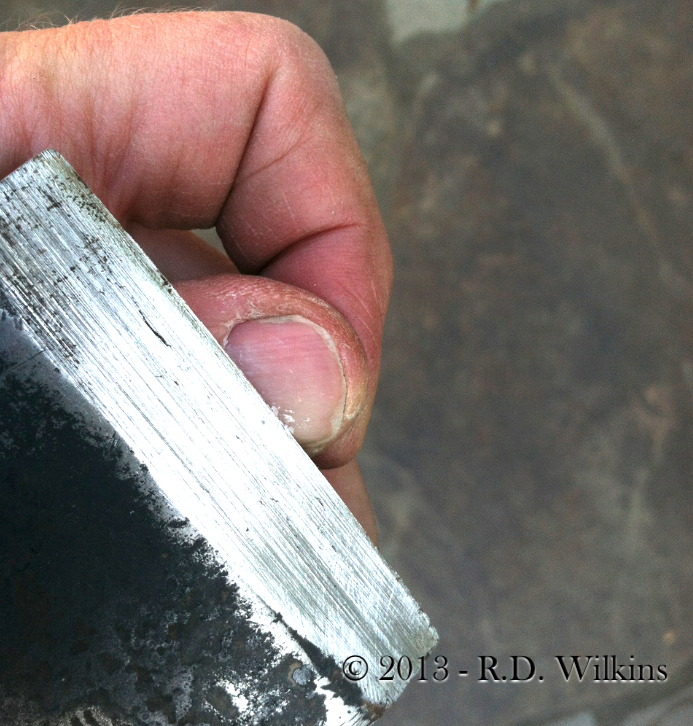 This big blade is certainly closer to a chisel than an axe as you can see from the closeup of the blade as it shaves off a sliver of my thumbnail. 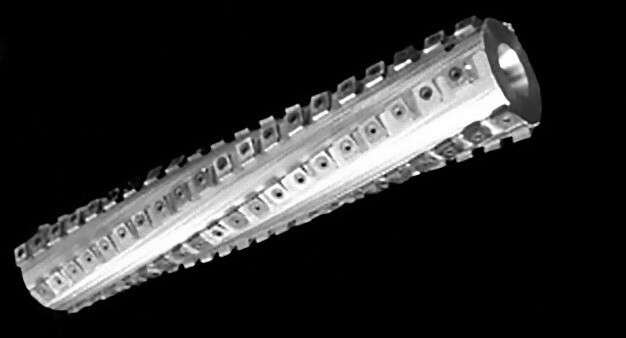 The blade will leave a very smooth surface. 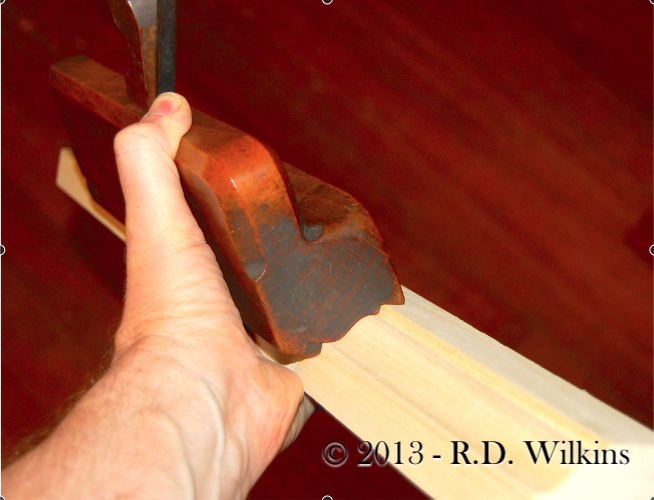 Here is a short video by John Neeman of a framing slick in use, you can see how quickly and cleanly it cuts a tenon. 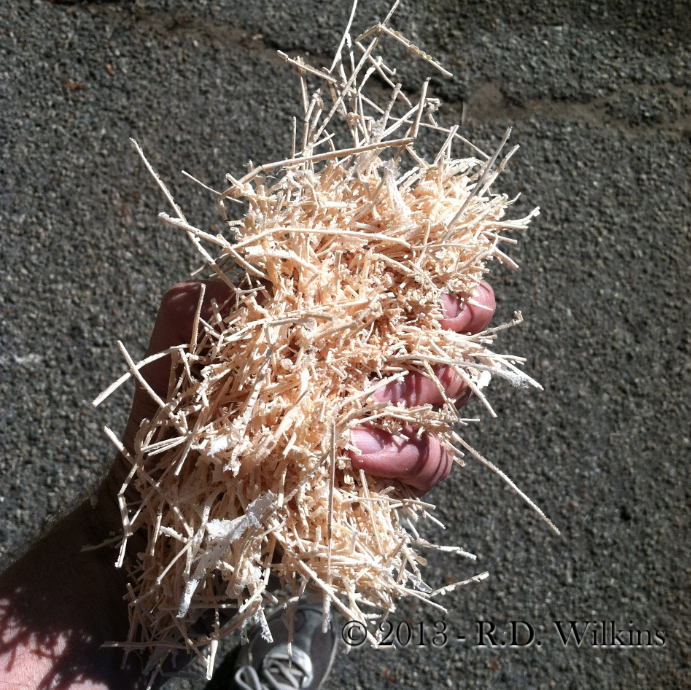 Cut timber surfaces were as smooth as their maker wanted, or needed them to be. Here are two photos of the Daniel Trabue cabin near Lexington, KY. 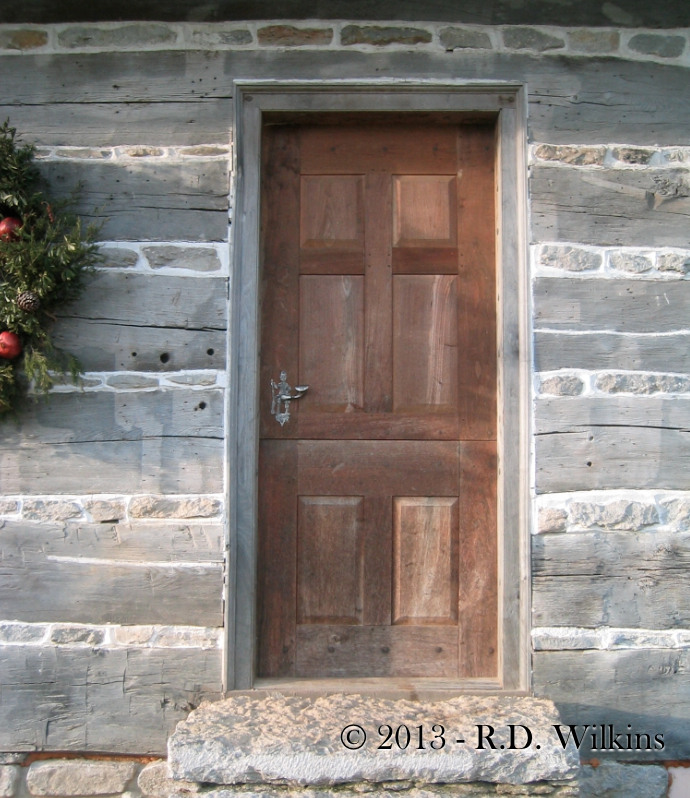 The cabin was restored some years ago and returned to it’s 1797 appearance. 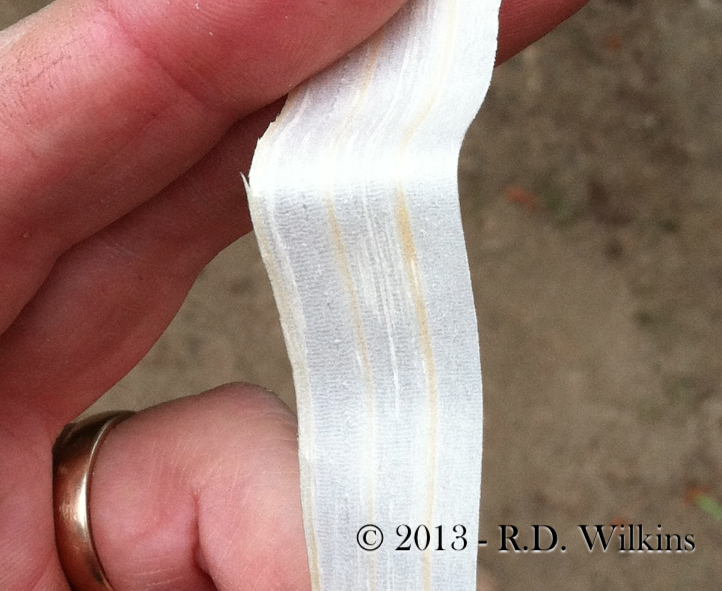 The clapboard which had been applied later had protected most of the logs from decay. 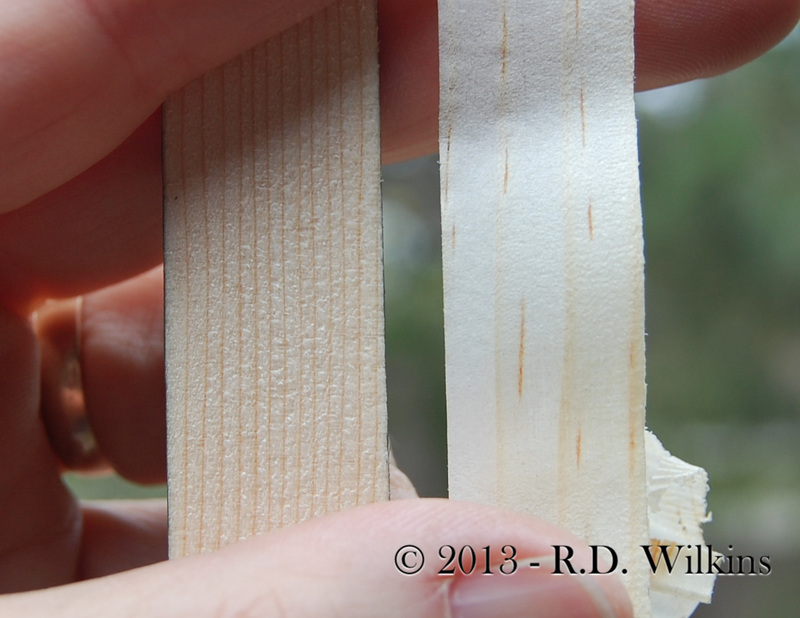 Notice the tool marks on the exterior logs. 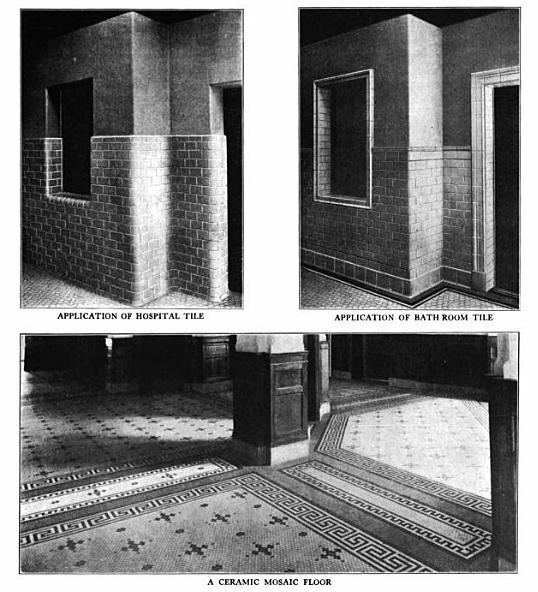 Now look at the second picture of an interior wall on the second floor. Here the German maker has signed his name with an 18th century cipher. Notice how clear the signature is. It was made with a traditional crayon made of beeswax and powdered vermillion used for marking out work while building. The crayon was found during the restoration, tucked above the front door lintel. The clarity is only possible because the wood surface is so smooth. 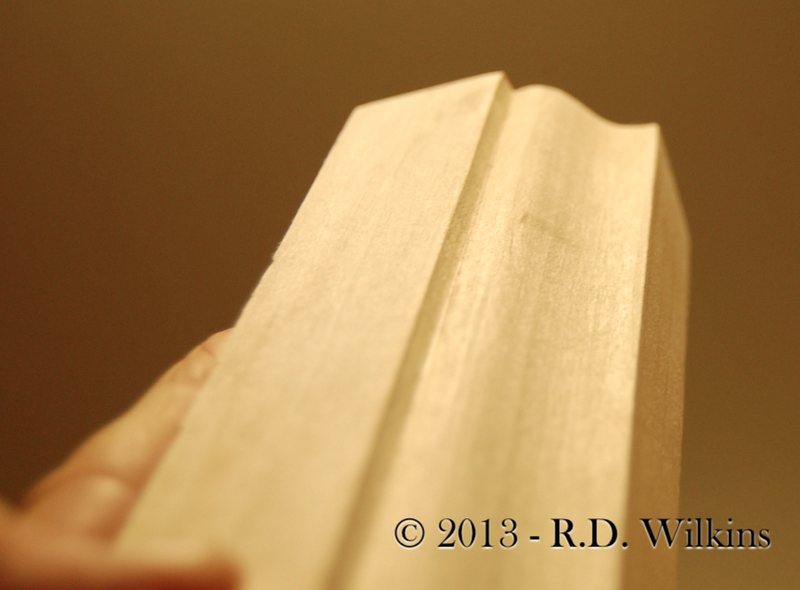 Next week, in Part 2 of this post I’ll talk about and show you how traditional hand tools can actually create a finish that’s superior to their modern day counterparts and why our ancestors didn’t use, or need sandpaper to surface wood. 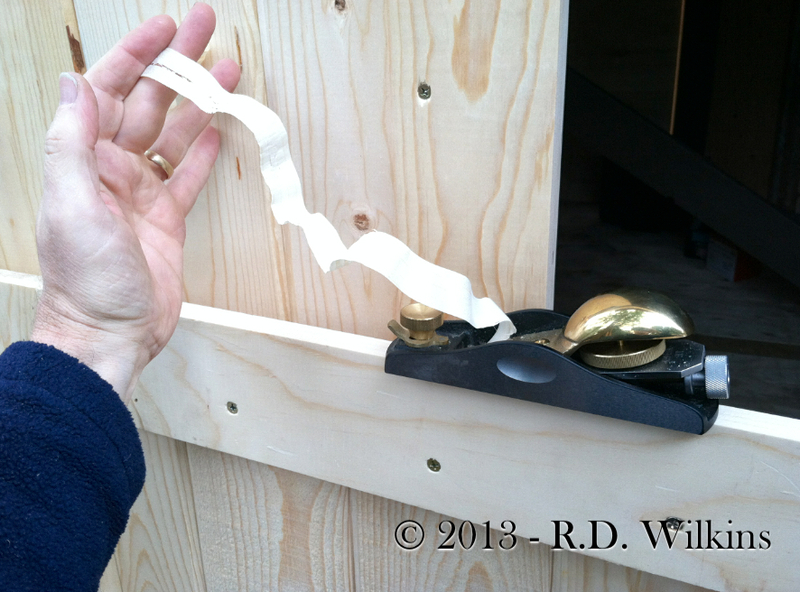 Also, you’ll learn why every recreation of Noah’s Ark you’ve ever seen is dead wrong. Yes, I thought it was time for a bad pun. 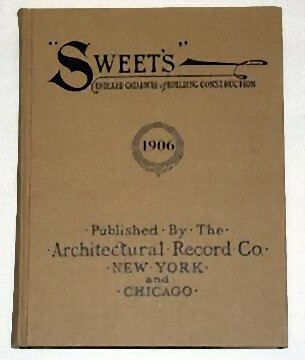 The “sweet” resource I’m talking about is the Sweet’s Indexed Catalogue of Building Construction. Not the modern version, mind you, but the earlier volumes. 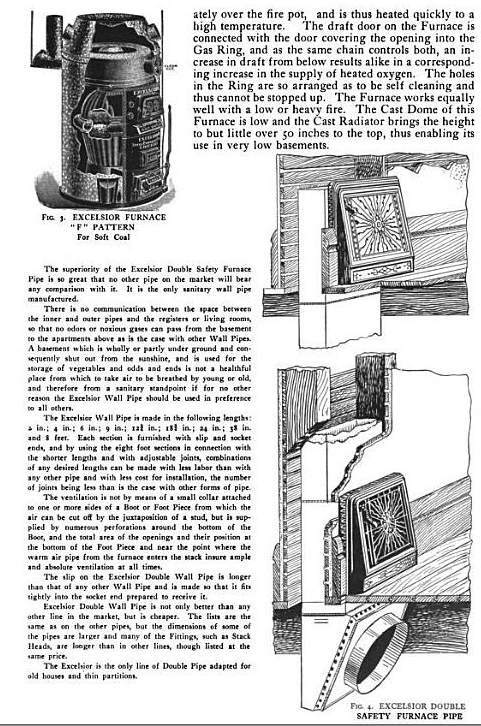 In particular I’m talking about the first one ever printed, in 1906. I found my copy in a used bookstore about 25 years ago, back when 3rd Street in Santa Monica was still a sleepy street lined with great used bookstores instead of chain outlets. It was a 1970’s reprint of the original, in great condition. But the most striking thing about it was how different it was from it’s modern relatives. 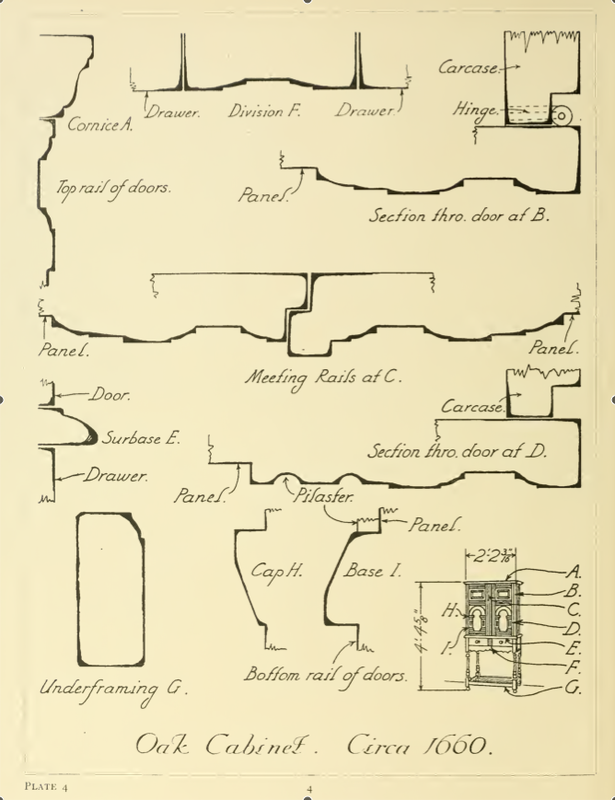 This book was printed for people who actually drew details, and both wanted and needed to know how things were built. 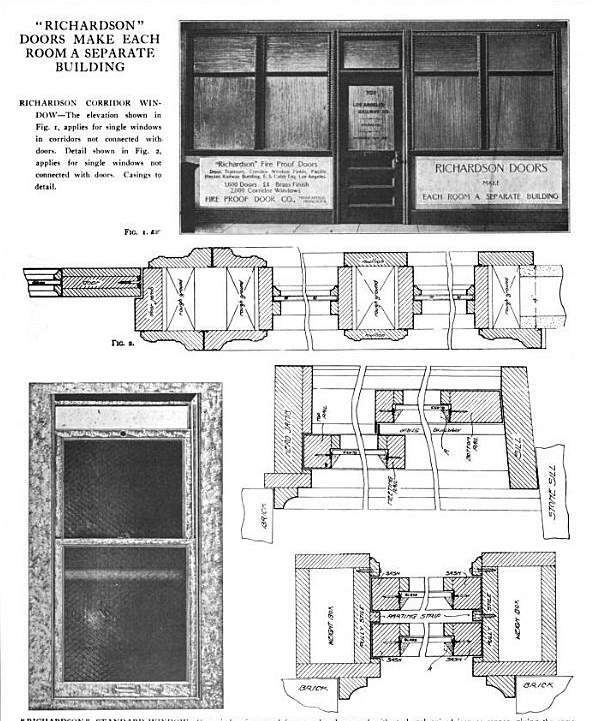 Most of the products pictured throughout the book had either detailed drawings or photographs of the items, with dimensions and cutaways showing how they operated and how they were integrated into the architecture of the building. 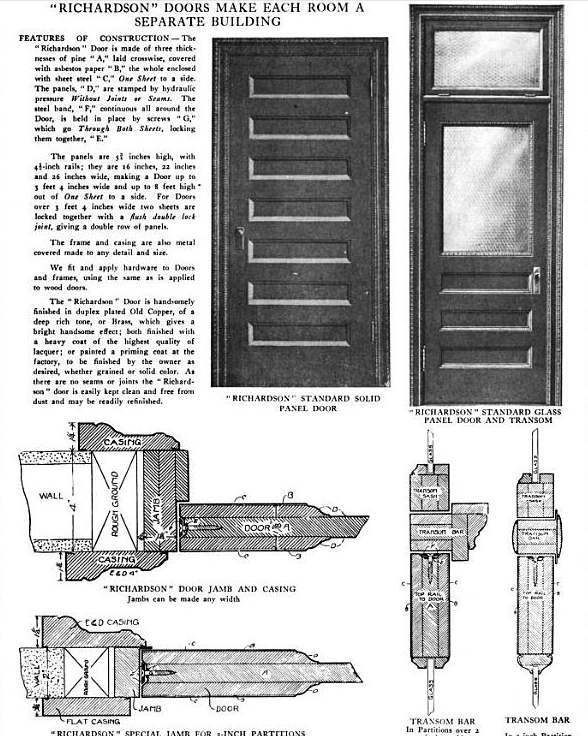 This was a far cry from the ‘updated’ version, void of details, which was meant only to be a means of calling out the correct ‘part number’ on a drawing rather than giving the architect a full understanding of the specifics. One of hundreds of photos showing details such as trim, ironwork and tile. 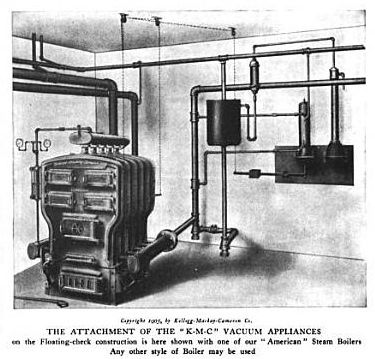 Another good source in Google Books is a magazine from about the same time period called The American Builder which has some good articles with details. 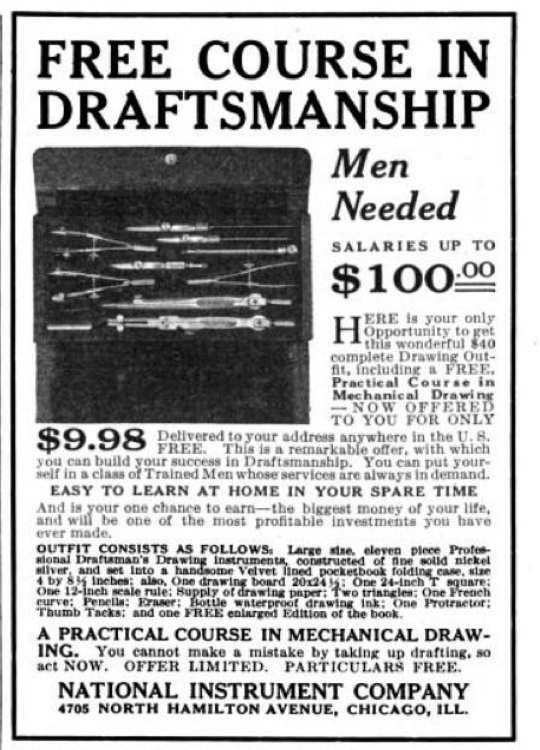 This ad for a drafting course is great. Considering an average draftsman would have made about 35 to 40 cents an hour at that time, $100 a week would have been top dollar. Here’s a simple quiz. 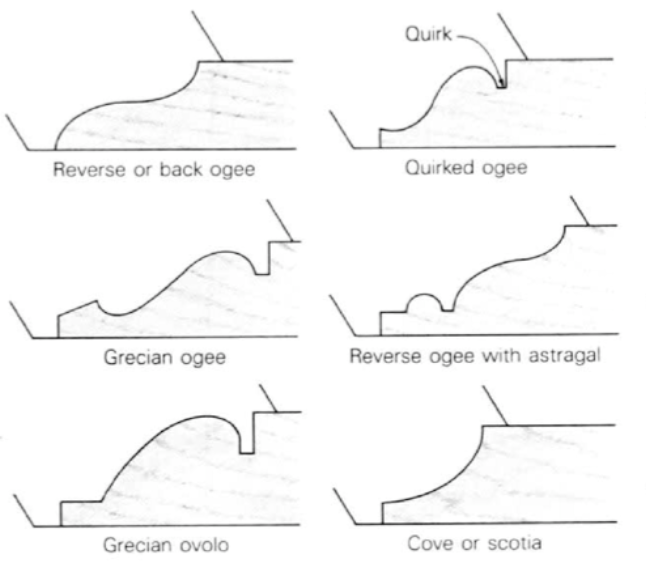 Which moulding profile below is an Ogee? Correct answer: It depends who you talk to. There are a number of well-respected architectural books which will tell you it’s “A”. They’re wrong, and I’ll explain why. 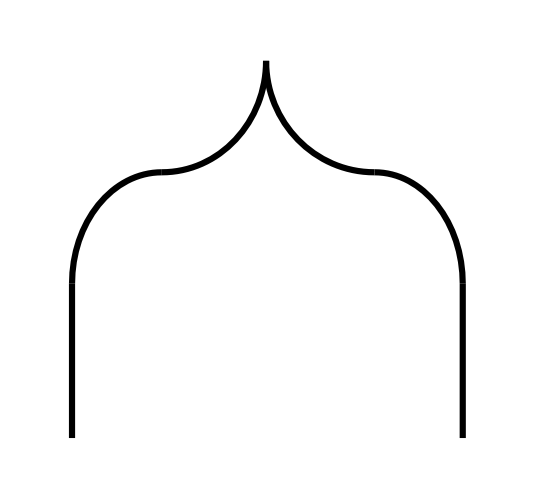 Cut the arch in half and you have a Cyma Reversa, beginning and terminating vertically. So why the confusion? Well, there wasn’t any in the 18th century. 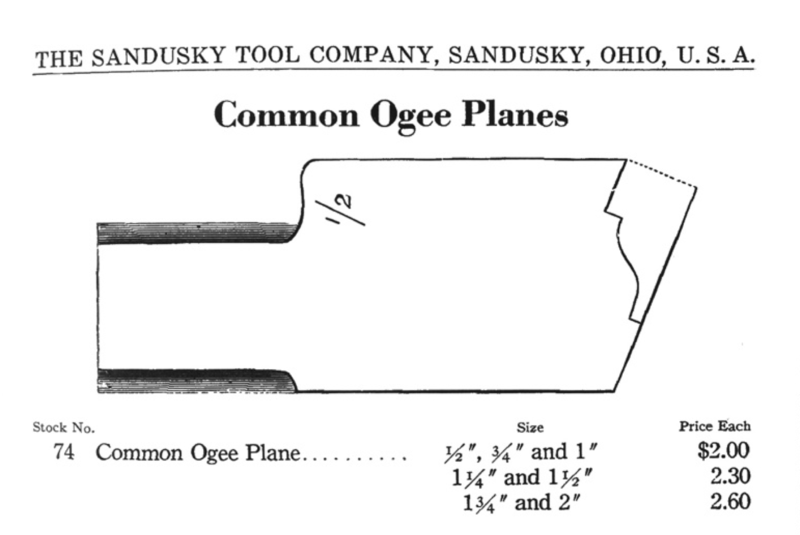 In fact builders and manufacturers of moulding planes were consistent about what constituted an Ogee right into the 20th century. It wasn’t until the late-Victorian academics got involved that things got convoluted, and I think I know why. 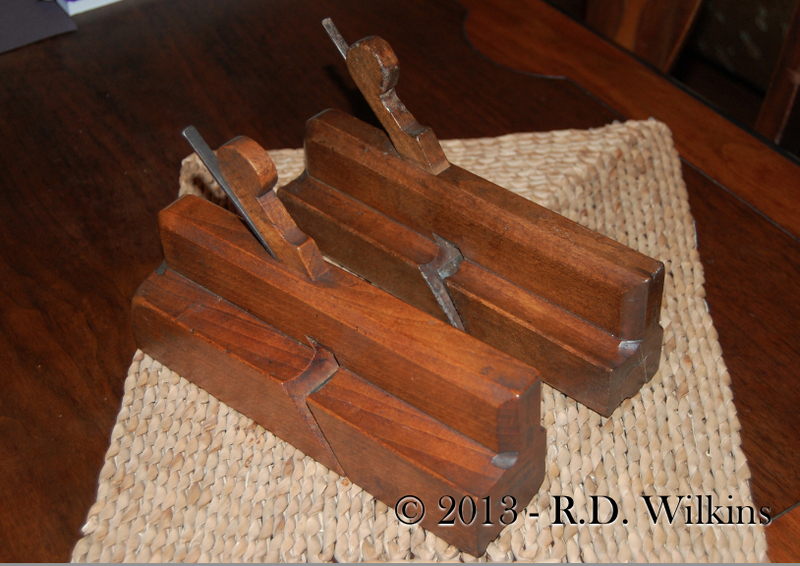 Before the industrial age, wood mouldings were made, or ‘stuck’ by hand with moulding planes. 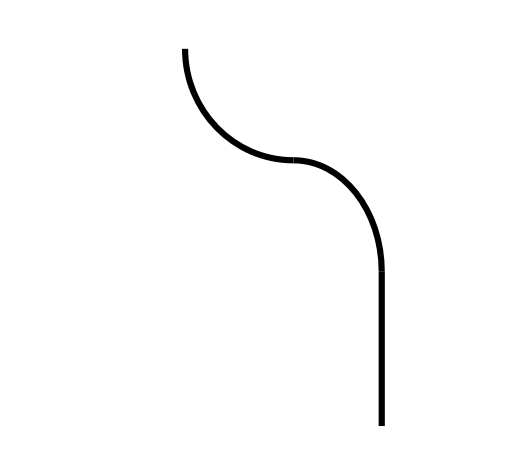 The profiles were cut on their side, like those pictured below. To describe a profile, you need to stand the profile up and read the profiles in descending order. 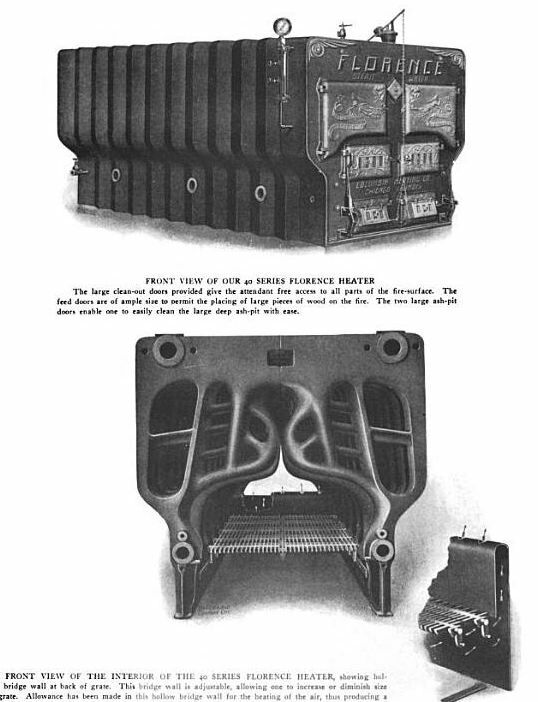 But the people that made mouldings were used to seeing the profiles on their sides, so an ogee, or cyma reversa terminates horizontally when viewed as such. Then there’s the terminology. 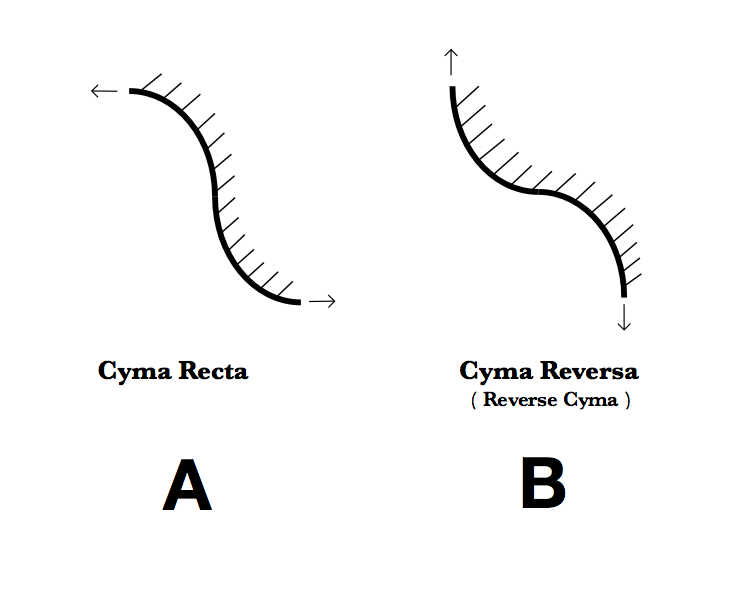 Basically, if a Reverse Cyma is an Ogee, then a Cyma Recta is a Reverse Ogee. At some point I’m sure someone decided, “Gee, that can’t be right. 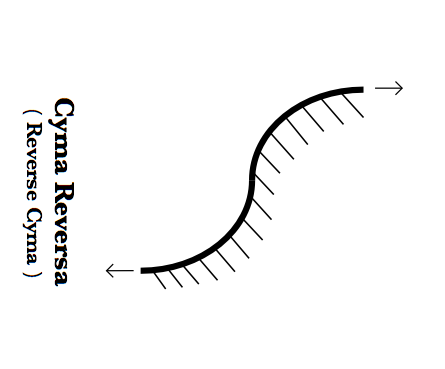 A Reverse Cyma must also be a Reverse Ogee.” Makes sense. Unfortunately as a wise man once said, “The easiest answers are also usually wrong.” Which in this case is true.